Last week we talked about how to attract the right kind of highly-motivated clients to your training business. If you make your living training clients and athletes, you know how crucial this is for paying the bills. But getting clients is only half the battle. Today, I want to talk about how to make those clients stay with you. Not because they like you and feel obligated, but because they’re so happy with their results and so bought into your system that they can’t imagine going anywhere else. Getting buy-in and keeping your clients is one of the keys to growing a successful fitness business. To help you do that, I’m going to get straight to the point and give you ready-to-use strategies based on the science of behavior and the methods I learned while building a 7-figure training business myself. This may seem like a no-brainer, but you’d be surprised (or maybe you wouldn’t) by how many people get this wrong. The goals you set can determine whether a client shows up to train or stays home on the coach. Before I cover how to set and reinforce goals, I want to make sure you understand what motivates people to train in the first place (so you can manipulate it in a positive way). It all starts with a little chemical messenger I’m sure you’ve heard about: dopamine. Popular belief is that dopamine is the reward/pleasure chemical that drives out behavior. We want to feel good, so we constantly seek it out. What extensive research has actually shown is that dopamine doesn’t spike when we get the reward and it has nothing to do with feeling pleasure. It has everything to do with reward prediction, which is a very different thing. We don’t seek out behaviors and activities that lead to a big spike in dopamine production. What causes us to behave a certain way is the dopamine spike before we even act. Dopamine drives behavior, not the other way around. This is a huge difference. So, what does this mean for training clients? When a client first starts training, his/her brain sees very rapid progress, i.e. a big reward from the work. Body fat quickly drops, strength grows, aerobic fitness improves, etc. The brain becomes conditioned to expect a big payoff from all the work. This predicted reward leads to a large dopamine spike that precedes the workout, which strongly motivates the client to work out. The big problem is that, as well know, progress is never linear. Those initially rapid gains inevitably start slowing down, usually within a matter of weeks. As soon as the reward diminishes, the brain starts to realize that its prediction was wrong—the work isn’t leading to the same level of reward. When the brain sees fewer results than expected, dopamine levels nosedive and the motivation to train goes along with them. If your clients’ only goals are tied to things that don’t always improve quickly, it’s only a matter of time before they stop training with you. The way to approach this problem is to teach your clients to focus not on the long-term goals, but on the process of achieving them. Whether it’s getting in enough steps, completing the workout they had planned, avoiding foods they know they shouldn’t be eating, or anything else, you can help your clients stay motivated simply by shifting the focus towards achieving these very short-term goals. If you really want to be a good coach, you should start out each and every workout with, “Today’s goals are….” and give them 2-3 things that you want to achieve in the session. Throughout the session, you should reinforce when progress has been made. Even if it’s just adding 5-lbs to the bar, getting in a couple extra reps or an improvement in technique, everyone loves to see progress – no matter how small. At the end of the session, review what was accomplished, which goals were reached, which ones weren’t, and talk about what the goals of the next session will be. If people feel like they are always working towards something and making progress, their dopamine levels will stay raised and they’ll be far more likely to keep coming back for more. Personalization is a trend that’s only becoming more popular and you don’t want your training business to be the left behind. Why is it so important, especially when group training is still wildly successful? For starters, failing to personalize your clients’ workouts makes it too easy for them to jump ship. Time in gym + intensity = results. In other words, they think that all that matters is being in the gym and training hard. They place little-to-no value on the details of training and your expertise as a coach. The problem is that there are a million gyms and trainers that will push them hard. If they think that intensity and time in the gym are all that drives results, it’s only a matter of time before they jump ship and try training somewhere else. Even at the group level, personalization has become more prevalent—just look at Orange Theory’s individualized heart rate zones. 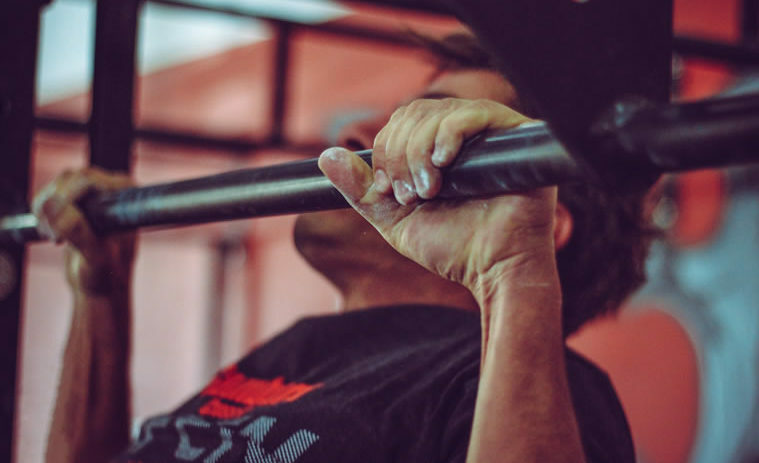 And one could argue that the lack of personalization is one of the reasons CrossFit gyms across the country have been closing and the masses are moving away from the one-size-fits-all approach. People have [rightfully] gotten wise to the fact that each person responds to training in a slightly different fashion. The right number of sets and reps for one person might be totally wrong for someone else. Everybody is different, so why should everyone be on the exact same program? When you use personalization properly, it creates a custom training experience that’s unique to you—your clients don’t know how to get it anywhere else, nor do they want to. So, how do you personalize your training in a way that’s scalable? Two things: assessments and tracking. Personalization always starts with an assessment because this is what allows you to identify individual needs and weaknesses. While it may be more challenging in a group setting, it’s certainly not impossible. The key is to incorporate assessments that are quick and easy to perform and often, the workout itself can serve this purpose as well. For example, you can perform a series of core exercises at the end of a session and identify the people that struggle the most. You can then use this to prescribe additional core training, or whatever may be necessary, only to those in the group that have that this specific weakness. Using this approach, your assessments can be built into your training and this allows you to offer a level of personalization regardless of the group size you’re working with. Aside from having an assessment in place, using the right technology can also help make your life easier and create a much more personalized experience as well. With the wide range of fitness technology that’s available today, it’s never been easier to incorporate things like heart rate training, HRV, activity tracking, recovery monitoring, workout tracking, etc., into your programs. Although there can be so many options here it can seem overwhelming, the important thing is to find the simplest solution that will work for you and your coaching business. Platforms like Trainerize, Fitbot, etc., are getting easier to use all the time and can make program delivery and tracking easier than ever. At the same time, recovery platforms like Morpheus (more about that down below) can help you monitor a variety of lifestyle and fitness markers and allow you to personalize training on a whole new level. Combining the right technology with an effective assessment process can allow you to offer personalization at scale and make sure each and every client you work with is getting the right program for them. This will not only deliver the best results possible, it’ll set you apart from everyone else and keep them bought into your process and your business. The reality is that your clients spend far too little time with you to make any real difference if their lifestyle isn’t in check. If you train your average client for 4 hours per week, 98% of their time is outside your influence. 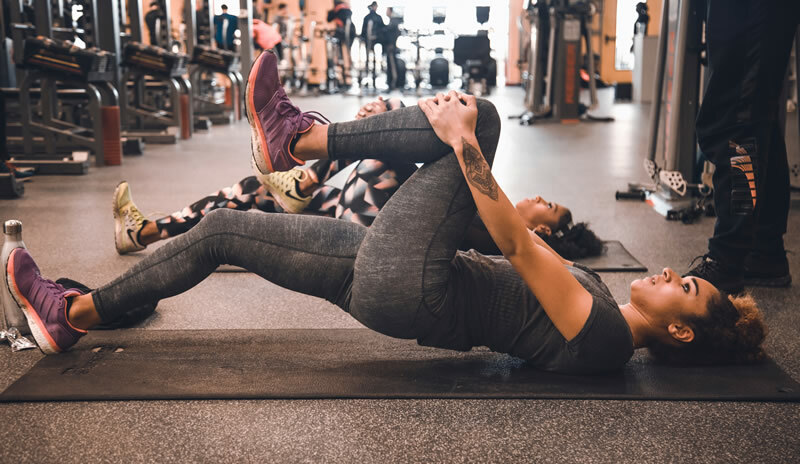 While you should obviously be invested in your clients’ overall health, there’s another reason why you should care about their lifestyles: when clients don’t see the results they expect, it devalues your training—even if it’s not your fault. In the study, 16 men and women with normal body weights were asked to perform a short, low-intensity workout. After the workout, the participants estimated how many calories they had just burned. They were then taken to a buffet and told to do their best to eat the same number of calories as they just burned during the workout. In other words, if they thought they had burned 300 calories during their workout, their goal was to eat 300 calories to refuel. The researchers wanted to test how accurately people could gauge their energy expenditure and intake after exercise. 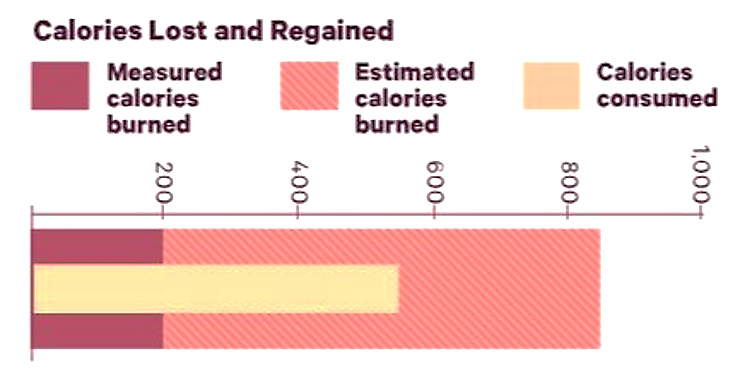 The “calories estimated” bar shows that participants believed their workout burned 800 calories. The reality: they only burned 200. At the same time, when taken to the buffet, the participants ate close to 600 calories. This was roughly 3 times the amount of calories they had actually burned in the workout! Translation: people are terrible at gauging how many calories they burn and even worse at estimating how many they eat. So how can you help your clients take accountability for their health and understand the impact of their decisions outside the gym? Talking with your clients to create a customized plan they’ll actually follow not only sets them up for success, it helps them take responsibility for the results they see (or don’t see). It also sets you apart from other coaches who only focus on training. This plan could take many forms—from a food or sleep log to comprehensive nutrition coaching through Precision Nutrition’s Pro Coach—so long as it’s something your client will stick to. Don’t feel confident talking about topics like stress, time management, or nutrition? Partner up with a local expert to host an educational workshop. Not only will this open up referral opportunities, it will also add a tremendous amount of value to the services you provide your clients. But education isn’t enough to help your clients reach their goals. They need to pinpoint which parts of their lifestyle are holding them back. This is one of the biggest reasons why I spent 3 years developing Morpheus, the world’s first digital recovery coach. I spent years using heart rate variability with all my clients and I learned early on just how much what happens outside the gym drives the results they see from their work inside the gym. 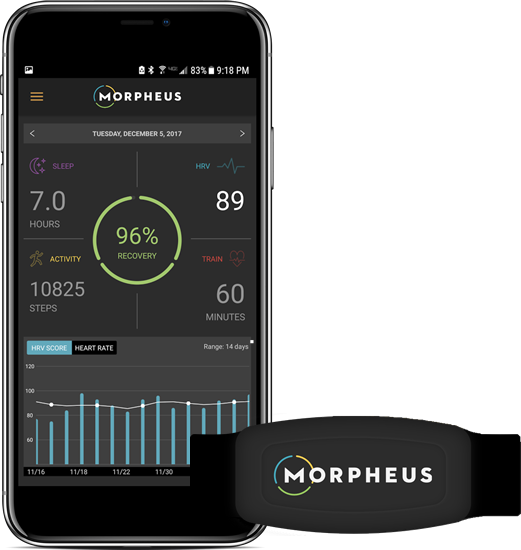 Morpheus takes into account sleep, activity levels, training, HRV, and subjective measures to connect the dots between behavior and the body’s ability to recover from it. Helping your clients see the impact of their decisions (and make the right changes) is huge because they can’t out-train a poor lifestyle. Remember what I said about how terrible people are at estimating the effects of their actions? Morpheus solves that issue by objectively quantifying those effects in an easy-to-understand format. As a trainer, no more guesswork = more accountability + greater progress… which makes you look great and makes your clients want to stick around. Regardless of exactly how you choose to do it, integrating lifestyle education and planning into your coaching is something you can’t overlook if you want to build a successful business. The truth is that fitness is about much more than just getting in the gym. It’s also about eating the right foods, getting enough sleep, learning how to deal with mental stress, etc. All of these areas play such a huge role in whether or not your clients see results that overlooking them and expecting your clients to figure it all out on their own is a recipe for poor results and even worse retention. If you’ve found these coaching business lessons useful, I have something to share that I think you’re going to love. I’ve put together a live online training that will systematically turn your hard work coaching into real money: The 6-Figure Coaching Business Blueprint. If all you do is sign up just one extra client using what you’ll learn, the course will pay for itself. I know that you’ll make back far more than that because I’m handing you my own business blueprint—the playbook I’ve used to build a coaching business that generates seven figures a year. Time is running out: registration closes on Sunday, July 22nd at 11:59 pm (PST). If you’re ready to build a bulletproof referral machine of clients who love working with you, then click here to learn more about the course now.